Learn how you can make money or save money with us. All the while, helping to keep Tahoe Blue. A store that pays the customer? That sounds absolutely NUTS! New and Used Tahoe Sports (known as N.UT.S. to most) is a seasonal sports consignment store offering a unique combination of brand-new, next-season gear and well-loved, previously owned inventory to provide the ideal item for every need and price range. Over half of our consignors are locals, with the remaining fifty percent hailing from all over the globe; your new skis may have crossed county, state, or country lines to make it into our shop to offer a one-of-a-kind shopping experience. ﻿﻿We specialize in new and gently used winter sports gear for the avid adventure enthusiast and the excited novice alike; all of our inventory is sourced from individuals re-selling items they have previously owned. 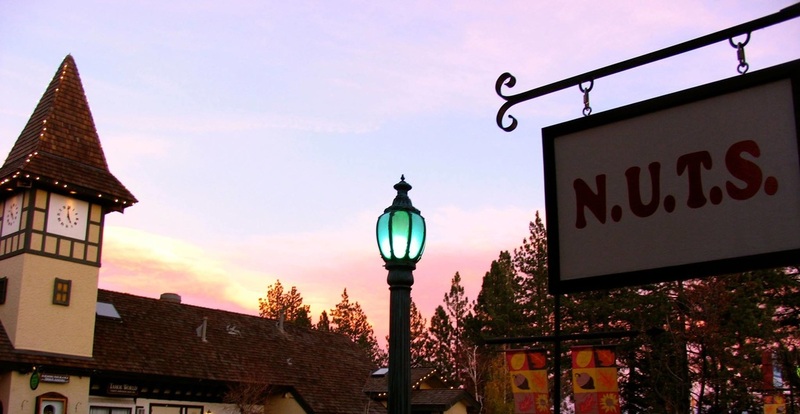 Over half of out consignors are local residents, living within a fifteen mile radius of our store in Tahoe City. The remaining fifty percent come from all over the world; the skis or snowboard you are checking out may have crossed county, state, or country lines to make its way into our store. Our staff is well-versed in all aspects of winter sports, with every employee knowledgeable in the benefits of local resorts and varied sport disciplines. Store managers are trained in custom boot fitting, and every employee is considered an expert in winter sports. Whether you need a new jacket or a set of powder skis, N.U.T.S. is happy to help you find the ideal equipment. We are the most selective consignment shop in the region, and we accept gear on the highest standards to ensure that our inventory ​is top-notch. Every item is checked for cosmetic and severe damage, as well as liability coverage from the manufacturer where applicable to ensure that your Tahoe experience is one unsaddled by rips and tears of equipment or of muscles and ligaments.